W. W. Norton & Company, 9780393331554, 384pp. Secretly, in her heart of hearts, Lena Dawson hides the strangest of beliefs about her childhood. Hiding behind a cool competence as a superb fingerprint analyst in a crime lab in snowy Syracuse, New York, she feels totally out of place in the ordinary world of human interaction. Especially since the controlling husband who guided and protected her, then cheated and left her (though now he wants her back). Her uncanny ability to read a crime scene draws her into investigating a mysterious series of crib deaths--but ultimately the most difficult puzzle she must solve is the one of her own origins. 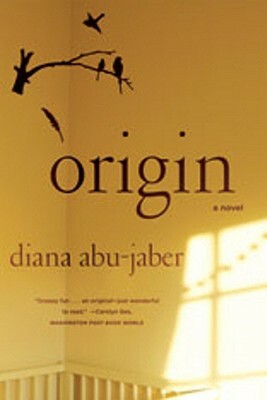 Diana Abu-Jaber, a "gifted and graceful writer" (Chicago Tribune), masterfully "transcends formula" (Kirkus Reviews) as "the tension of Origin escalates, shaped as much by beautifully nuanced prose as menacing events" (New York Daily News).